Proud to have 40 years experience in the security sector, FERRIMAX is a leading company producing security products. Its manufacturing flexibility and its know-how convert FERRIMAX into one of the main actors in the demanding and risky places. From the simplest safe to the most sophisticated, FERRIMAX develops and manufactures any kind of safes, according to the EN 1143-1 standard. 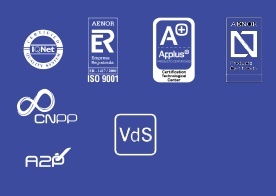 In steady progress and striving for an exemplary quality, its Investigation & Development department is always studying the latest technical solutions to offer top quality products, which comply with the international standards and are certified by prestigious laboratories like CNPP, APPLUS, AENOR y VDS. Last Tuesday, April 2, a group of students of the Degree in Prevention and Integral Safety of the UAB visited our company in Sant Fost de Campsentelles, Barcelona. "We live on earth as if we had another to go to" (Terry Swearingen).